Namco Bandai is once again ready to give a little love to the past with a new entry in the Retro Game Challenge series on the Nintendo 3DS next winter. Known as GameCenter CX in Japan, the two games are an amazing throwback to the early days of gaming, and anyone interested in digging throug history should check them out. The storyline follows the fictional childhood of real life Japanese comedian and host of the television show GameCenter CX, Shinya Arino. Those not familiar with the show should definitely track it down. The poor dude is locked in a room and must complete a nearly impossible retro game challenge before he is allowed to leave. It's one of the best television shows on the air for video gamers. 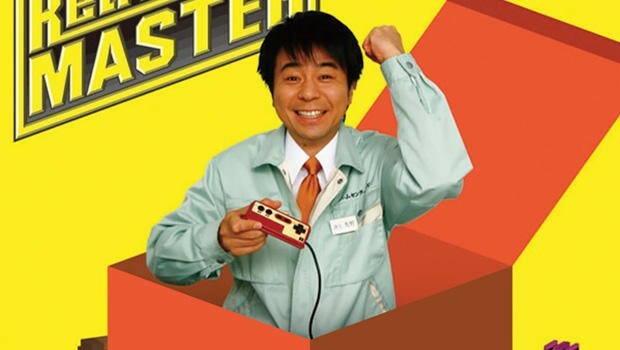 As a child in 1980s Japan, Arino of course plays a Famicom and he travels through evolutionary path of NES games. Each original game is a mock-up made to resemble a classic series found on the 8-bit system, starting with simple little SHMUPs but eventually culminating in a full-blown RPG called Guardia Quest. Unfortunately, the game tanked in the States, but those who played it were treated to one of the most fun JRPGs you can find on the handheld, and that's no easy task given its impressive line-up.The Ninja Robot Haggle Man games were no slouch either. It was localized by Xseed. A second game follows a similar structure with references to the Super Nintendo, Game Boy Color and Famicom Disk System. The translation of text adventures and an even bigger Guardia Quest proved to be more than Namco Bandai was willing to put into localization, and it never made it Stateside. I wouldn't get your hopes up for this new entry to make it to the States either, but there is always a chance, right? With the NES and Super Nintendo already covered, I wonder if this new Retro Game Challenge 3DS will tackle full blown Nintendo 64 games. That would be awesome!